to the page number in the book. progress compares to that of a young child. 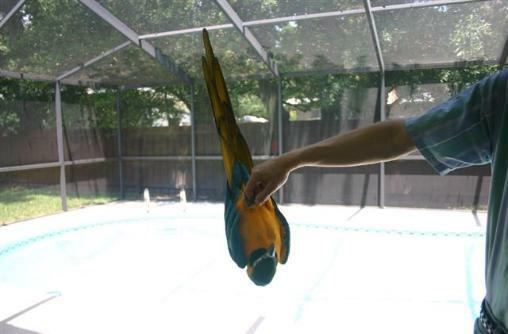 there,” inspired me to describe my linguistic adventure with a talking bird. Arielle has the ability to communicate across species using human speech when she wishes to do so. considering her statements with the provided background information. • organize thoughts using phrases and sequences of statements. between 65% and 95% of Arielle's utterances. 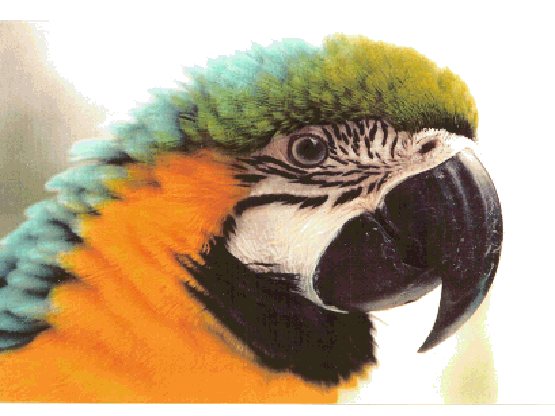 The macaw speaks an unusual dialect of English. order made payable to Arielle Publishing for $29.90** (The book is $24.95 plus $4.95 S&H). inscription if one is desired. Click here to read a press release about the book. All materials are protected under copyright laws. later time to listen to the clip. Ask children what they hear. across the room from a loudspeaker. 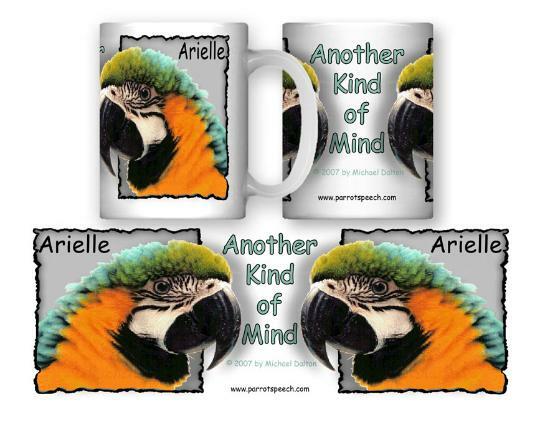 Another Kind of Mind: A Talking Bird Masters English.